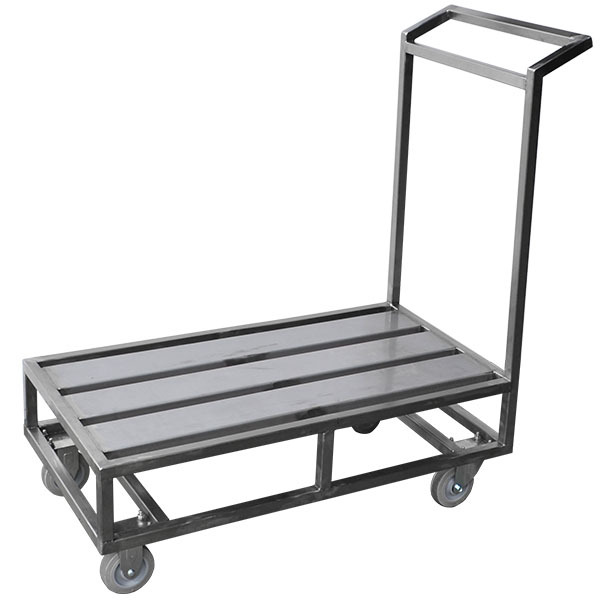 MPBS Industries only provides on flatform truck called stainless steel flatform truck. As the name mentioned, our flatform truck made by stainless steel. And the size of it is 1 x 1" square tube frames. Please feel free to contact our professional sales and service staff to answer any questions you have.